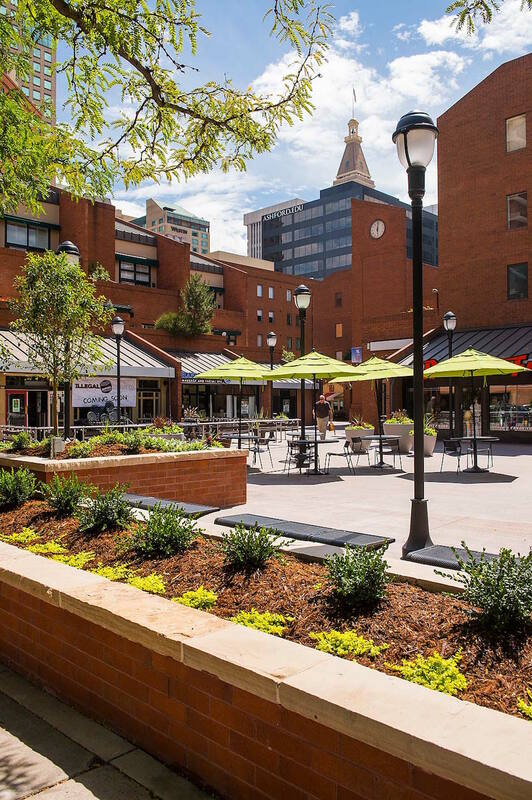 The goal was to renovate and revitalize the plazas of this landmark space in downtown Denver. 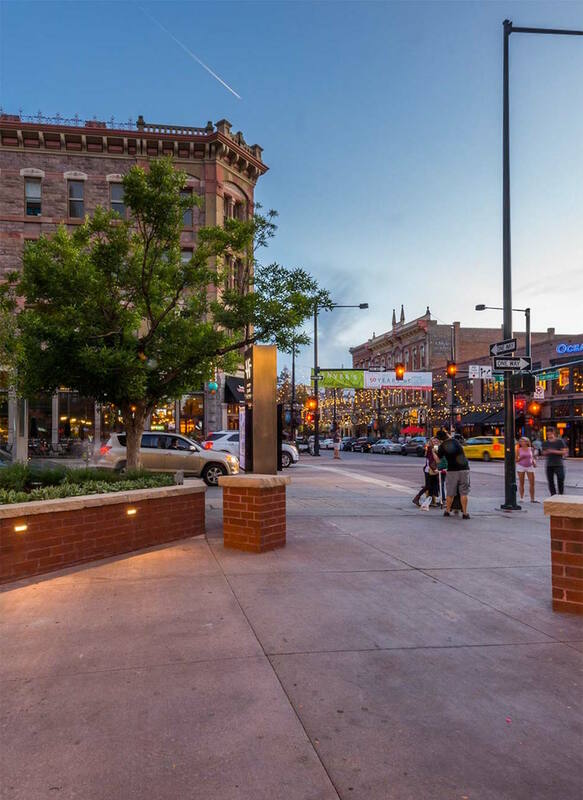 Writer Square occupies a key location linking the 16th Street Mall with Larimer Square. 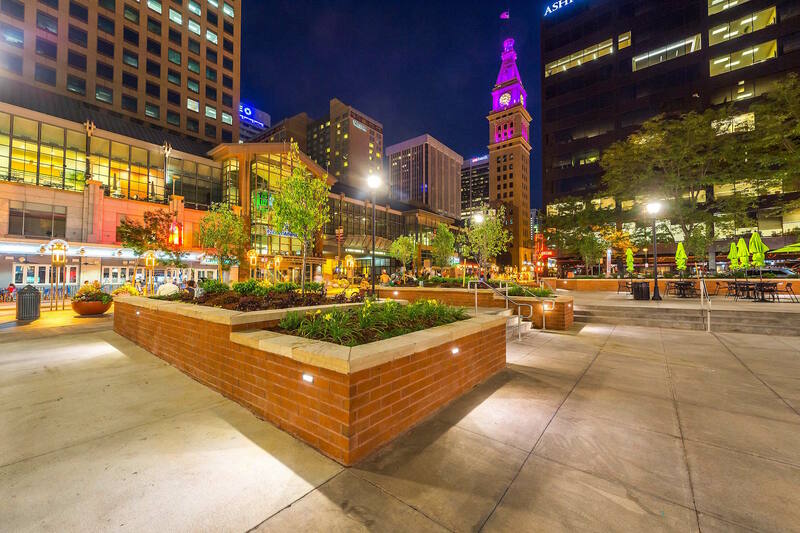 The new design breaks down the plazas into different zones through brick planters. 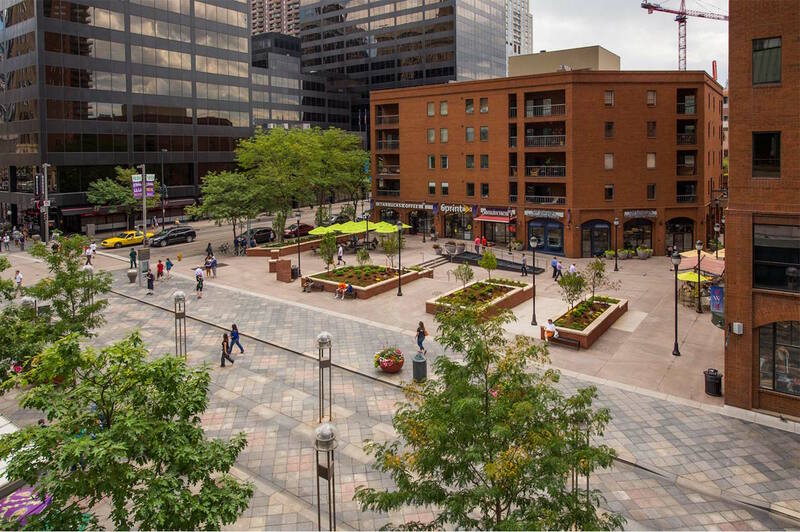 The outer area against 15th and 16th Streets is a green edge creating distinctive thresholds into the plaza space and resolving some awkward grading challenges. 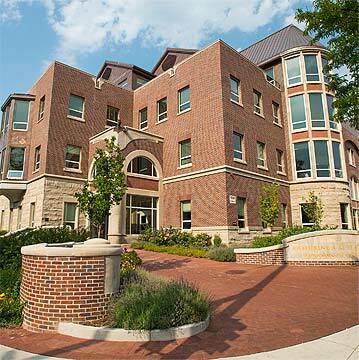 The planters contain trees and ornamental grasses that provide shade in the summer and year round interest. 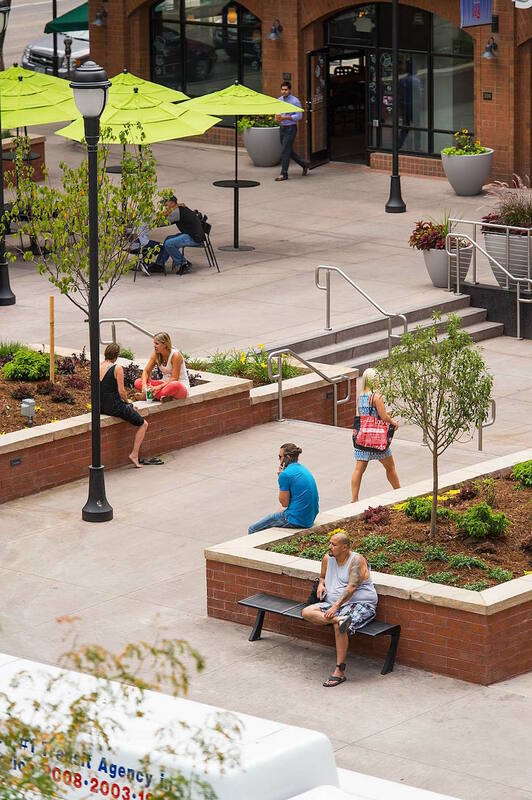 The walls are designed to be seating height thereby creating resting spaces for pedestrians on both sides of the planter. The interior of the plazas are further defined by zones of walking and sitting. The edges of the desire lines are defined by pedestrian lights and moveable table and chairs with umbrellas. 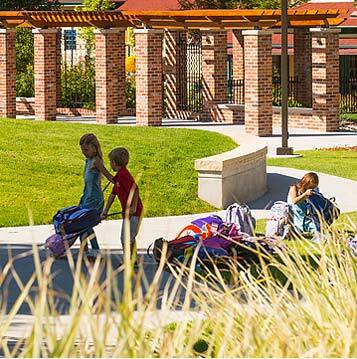 Various sized planter pots surround these islands of seating to create spaces within the larger plaza. 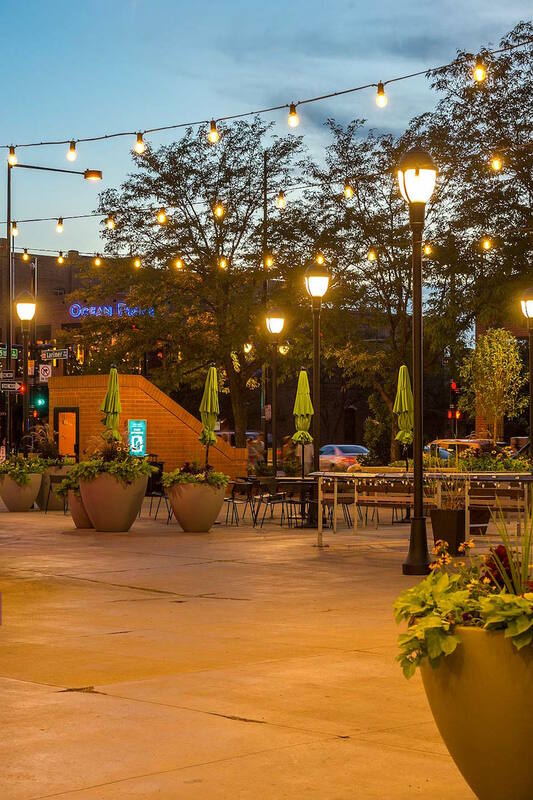 Careful consideration was given to the lighting of Writer Square. 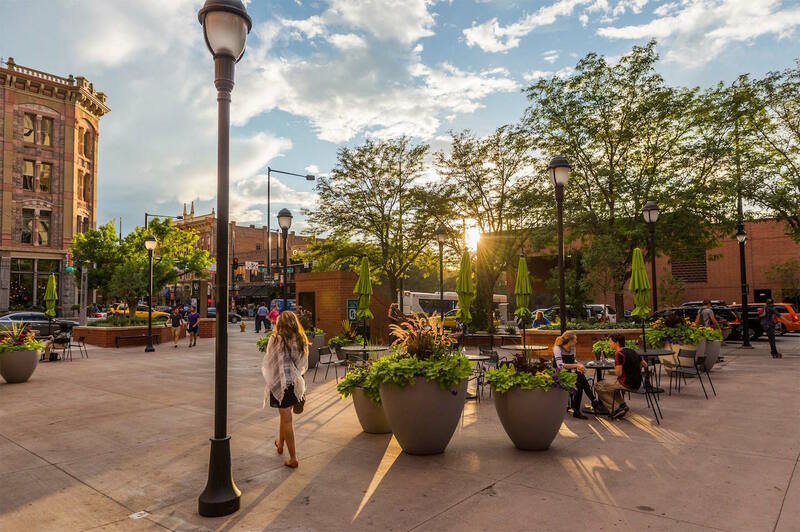 Pedestrian lights poles where selected both to compliment the aesthetic of the original development while taking advantage of LED technology. 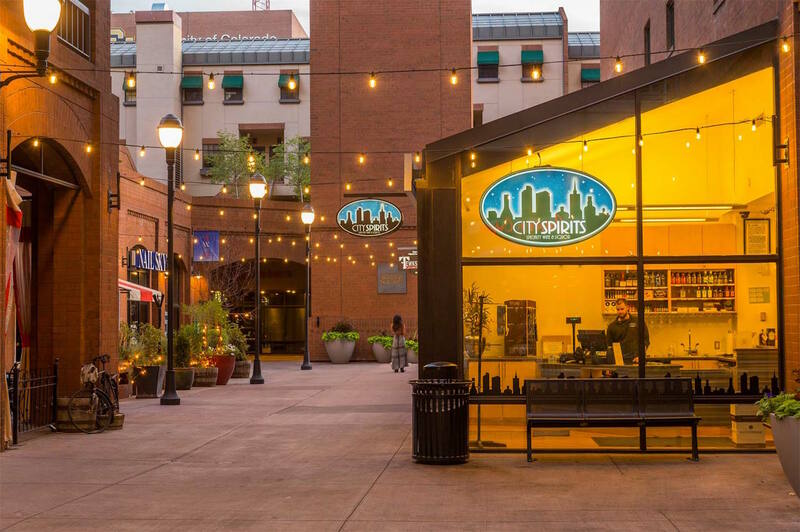 A catenary system was developed between the buildings to help with way finding and to provide a European flair to the project.